Have you heard of BestBuy.ca? Canadians will soon find online and mobile shopping even easier with Best Buy Canada through better availability of the latest and greatest products, the peace of mind that comes with knowing when a package is going to arrive and the access to an even larger product assortment on BestBuy.ca through a new ‘Marketplace’ for other Canadian retailers. Through our ‘Delivery Promise’ initiative, our ability to turn each of our 192 stores into online warehouses and the addition of a ‘Marketplace,’ it will be easier than ever for customers to search for, find and receive the products they want. But did you know that BestBuy.ca has had an American cousin that failed? Instead of this fact being a blemish on the Canadian site, it is a point of positivity. BestBuy.ca was able to examine and evaluate what ultimately led to the .com’s demise, and, as a result, has created a highly effective marketplace retailers across North America are flocking to. And at the heart of BestBuy.ca’s strategy? Data integration and a solid ecommerce marketplace platform. Keep reading to find out more about BestBuy.ca rising from the ashes of BestBuy.com as a sneak preview of our Best Buy How-To Guide, launching soon. 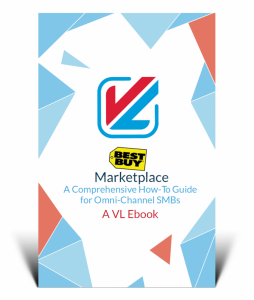 Don’t forget to subscribe to VL’s newsletter to be the first to know when VL OMNI launches content like our popular BestBuy.ca How-To Guide! BestBuy.com’s Marketplace was a well-intentioned but problem-riddled execution of what was meant to be a strategic expansion of product offerings the Best Buy brand carried online. Instead, unsuitable and inflexible cornerstone applications combined with a lack of a scalable integration strategy and a slew of various communication issues ultimately sank the American Best Buy Marketplace in a little over 5 years. Interestingly, BestBuy.ca — the Canadian version of the American marketplace — launched only months before the .com marketplace threw in the towel on February 24th, 2016. The BestBuy.ca Marketplace officially launched just in time to reap the rewards of the 2015 holiday season; a highly strategic move. Fighting to set their own reputation apart from their now-failed American iteration, the Canadian Best Buy Marketplace took a gamble launching during the busy holiday season: they’d either prove that they’ve built a better machine on the lessons of BestBuy.com, or would unceremoniously put themselves on the same path to eventual destruction. Customers quickly became dissatisfied with the marketplace, leaving the website for competitors like Amazon and eBay where the customer experience met or exceeded consumer expectation. From the start, Best Buy’s American Marketplace employed sub-par strategies, ultimately creating a digital mess on the consumer-facing side of the site. Prices were often inconsistent with the bricks-and-mortar locations and the online channel, leaving customers confused and feeling cheated. With hundreds of retailers selling into the marketplace, BestBuy.com failed to account for the many types of vendors trying to integrate into the marketplace. A lack of procedures, policies, operating frameworks, and data translation and transmission architecture essentially created a free-for-all for retailers seeking to update product information and pricing on the portal. Best Buy’s American Marketplace also failed to consider and standardize the return policies of all of the retailers selling on the marketplace with those of Best Buy. Imagine the frustration of customers: pricing was already inconsistent, and now returning their items was not the straightforward process customers were used to with the Best Buy bricks-and-mortar stores. Unsurprisingly, this led to a free fall in customer confidence for the marketplace, plummeting profits, and eventually led to its demise. Canada’s Best Buy Marketplace’s launch overlapped the American Marketplace’s slow slide into oblivion by quite a few months. The Canadian iteration had plenty of data on the shortcomings of its American counterpart, making their launch the prime opportunity to redeem the Best Buy Marketplace model while creating a new and more robust marketplace for the consumer electronics space. BestBuy.ca started from the absolute bottom: they started building their marketplace using the well-known system from France, Mirakl. Mirakl is well known for their ecommerce marketplace solutions with major European retailers. Highly reliable and designed to fit the needs of BestBuy.ca, the Canadian Marketplace simply has great bones. BestBuy.ca also created a rigorous set of standards for potential sellers to adhere to. Communication standards for data transmission and translation both to and from the marketplace have the bar set high for sellers and favours those who have the ability to have their data and applications fully integrated into the marketplace’s back end. And BestBuy.ca has been doing extremely well with both consumers and retailers. Many product categories are under-represented on the marketplace today, creating a distinct blue ocean competitive advantage for those retailers that can meet the marketplace’s rigorous expectations and be early adopters. The BestBuy.ca Marketplace is attracting retailers from across North America and is in high demand! BestBuy.ca has completely freed themselves of any hurdles or shortcomings that existed in the defunct Amercian marketplace. Through careful evaluation of BestBuy.com, the Canadian iteration has approached the problem of creating a robust ecommerce marketplace ecosystem for buyers and sellers with a solid data integration strategy (and thus, communication standards) at the heart. BestBuy.ca is poised to corner the online market for consumer electronics and more and is currently in the process of expanding in under-represented marketplace categories. 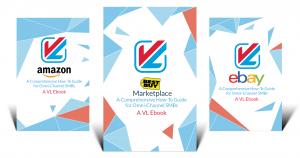 Thinking of adopting Best Buy’s Canadian Marketplace into your omni-channel mix? VL has partnered with the Canadian Best Buy Marketplace to help their retailers meet and exceed the data integration and communication standards set out by the portal. We have already helped many of our customers seamlessly onboard with BestBuy.ca! Check out our Best Buy Marketplace How-To Guide. Stay tuned to our blog for more content announcements by signing up for our OMNIlink eNewsletter!